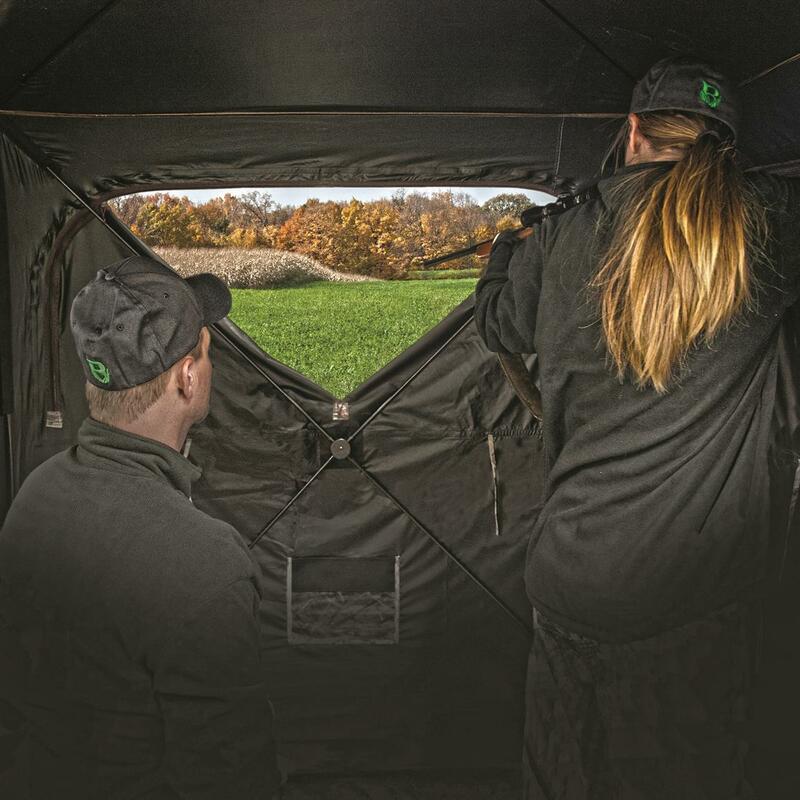 Whether you're hunting with family or want extra room for your gear, the Baronett Grounder 350 Hunting Blind is an excellent choice. 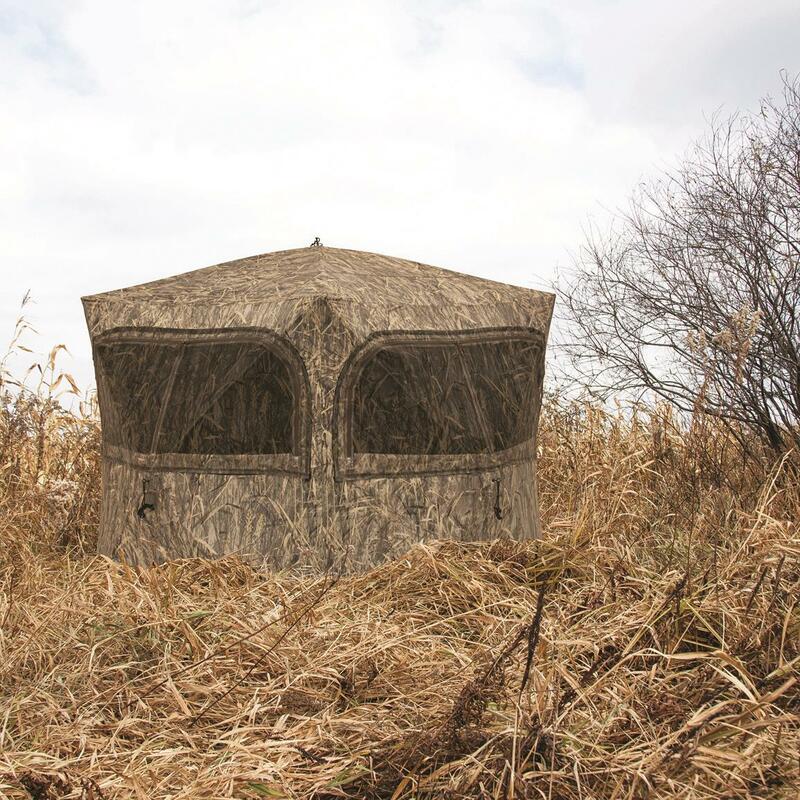 The Blind's large footprint and tall size make it roomy enough for three hunters, yet it's still painless to transport and set-up thanks to the 5-hub design. 3 large windows, plus a peak window give you excellent visibility in all directions for lining up that perfect shot. Hub-to-Hub Dimensions: 90" x 90"
Footprint Area: 34.02 sq. 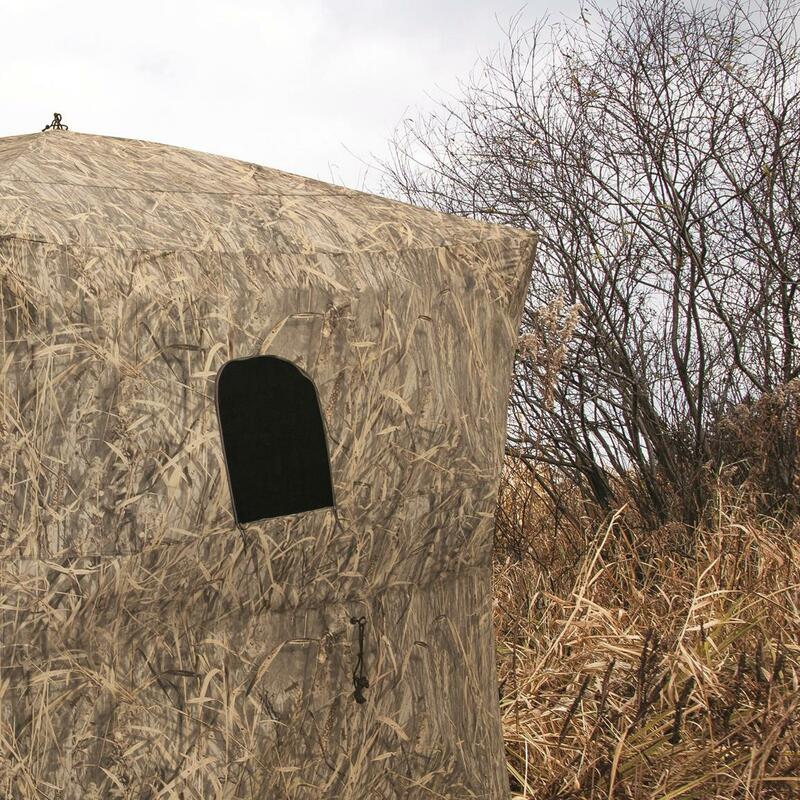 ft.
Footprint Dimensions: 70" x 70"
Barronett Grounder 350 Hunting Ground Blind is rated 4.5 out of 5 by 10. Rated 4 out of 5 by Mr. Mellow from I Like it. Easy to put up and take down, almost light weight, I can easily stand up with room to spare (I'm 6'). Looks like three will fit fine and the gear will too. Might even use it as a tent for overnights somewhere. 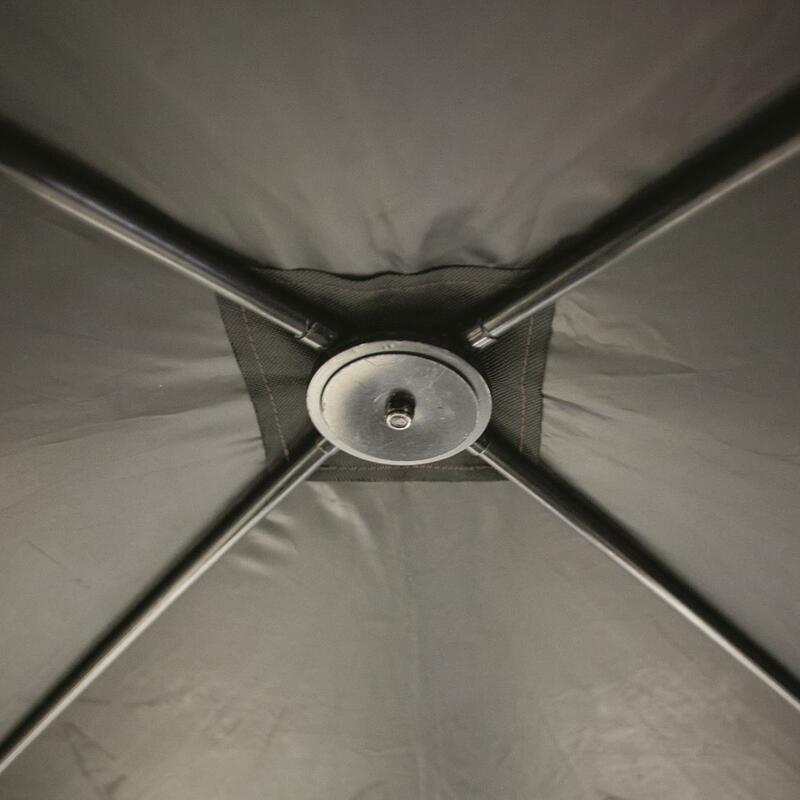 One negative is too many pin holes that will eventually lead to rain leaking in. I haven't used in the field yet but looking forward to it. Rated 5 out of 5 by Toad juice from Just what I needed It's perfect for me and my grandsons, this one makes two, and O think I will buy another one. Rated 3 out of 5 by Hammer from Not happy. I am hunting in Kansas and the wind blew my stand down, even with better anchors than came with the stand. The fiberglass poles came out of the sockets and now I can’t get them to stay in place. Rated 5 out of 5 by Big O/Lil O from Awesome Blind!! Me and my son hunted out of this stand comfortably. We’re both 6’ 3” and could stand up and move around without a problem. We love it!! Rated 4 out of 5 by Bromo from Good blind, well constructed Purchased th blind about two months ago. Purchase was based on positive reviews from multiple sources and size. I’m 6’3” and both sons are 6’4” so wanted something we could stand in. 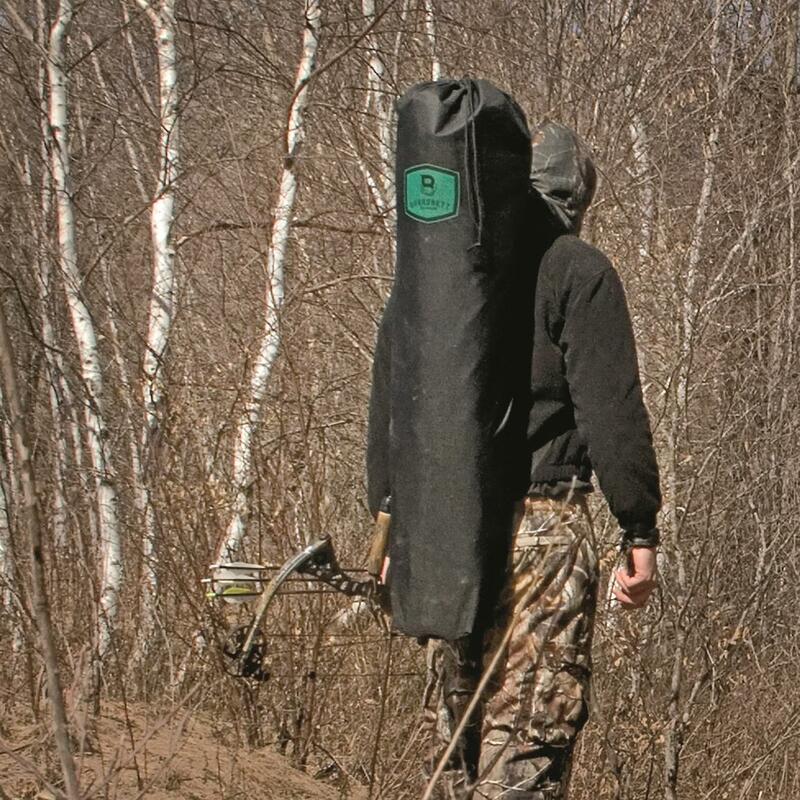 We hunt with both rifle and bow so needed a blind that was versatile. This blind pretty well meets our needs. However shooting windows are low enough that you have to shoot sitting or squatting. Shoot through windows are okay and great that they are easily replaceable. Some comments about zippers in windows but not an issue as I open up those I want when enter blind. Would like to see a roof vent of some kind as if you run a heater there is a pretty good condensation build up inside. Easy to setup and take down by one person. Supplied ground stakes could be longer as they don’t hold in sandy soil. 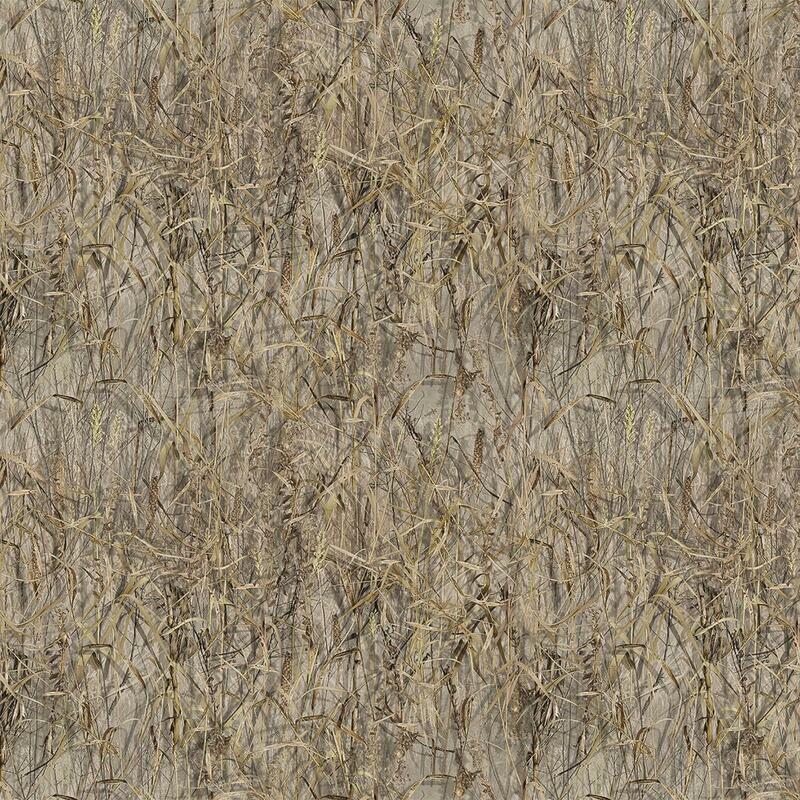 Overall a good blind for the money. 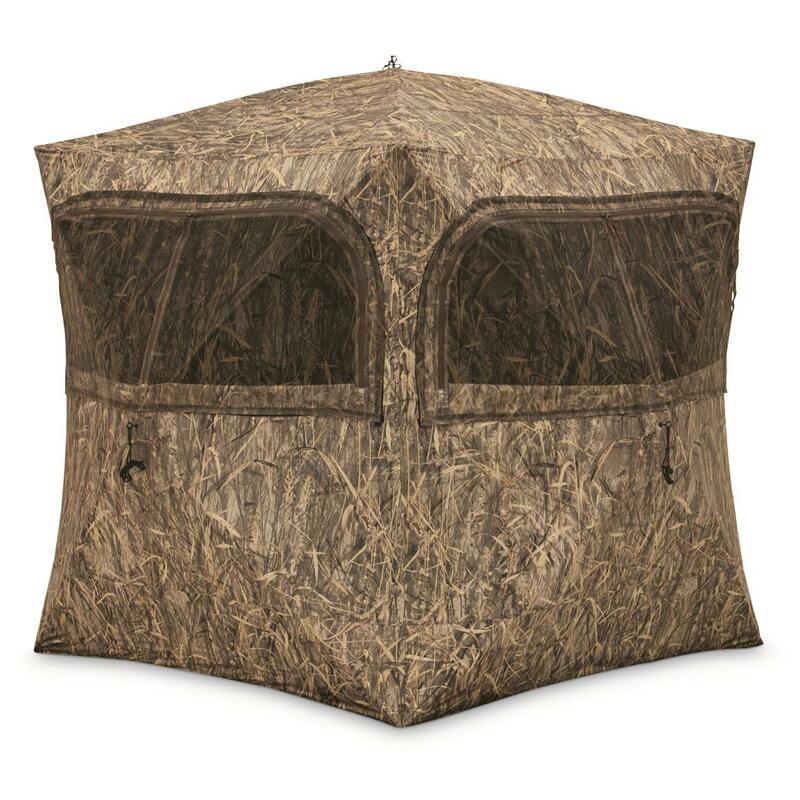 Rated 5 out of 5 by ZimDogs from Easy set up I bought this blind because my boys wanted to go with me this year and I needed a bigger blind. The 3 of us fit into this blind with room to spare. It was easy to set up and take down. Rated 5 out of 5 by None from New ground blind for Christmas Have not hunted out of it yet, but. Did set it up for the 1st time in my living room in less than 2 min., . it's large and roomy, u can even standup in it. Goodbye 2 man tent, ill camp in this next time!!!! Rated 5 out of 5 by Chas from Great features, great price, fast set up... Love it! Fast set up and take down - roomy - easy getting in and out - just wish it was 360 degree viewing.